HI Folks: Like a phoenix rising from the ashes, we do have plans for some wonderful events in 2018, and as always, we are counting on your support. Firstly, players please join us for our WORKSHOP SERIES; Get Your Groove ON, starting March 18 at Long&McQuade (more info here). The big news is that we are partnering this year with Batuki Music and Polyphonic Ground (the new Collective of Music Presentors in Toronto which we are proud to be part of) to bring you an unprecedented concert on FRIDAY NIGHT, May 18 at the re-opened not-for-profit Hugh’s Room Live (2261 Dundas St. W.): Africa/Cuba/Canada, featuring Abebe Fikade (Ethiopiann masenqo – one of the wonderful ancient 1-string fiddles from Africa), Okan (Elizabeth Rodriguez and Magdelys Savigne and band, originally from Cuba) and the inimitable Shane Cook from Dorchester, Ontario. There is no doubt the Friday May 18 concert will be a once-in-a-lifetime experience. You will enjoy first-hand one of the earliest forms of bowed string instrument, still preserved in East Africa where the masenqo is used to tell stories, pass on history, improvise and entertain. Abebe will be appearing with well-known Ethiopian singer Mimi Zenebe (known as the Edith Piaf of Ethiopia) and percussionnist Bereket Tekabu. From there we move on to Cuba where the violin has played a hugely important role in traditional music, combining the African heritage of the Cuban people with European influences. Okan is led by Elizabeth Rodriguez (violin) and Magdelys Savigne (percussion), both formerly of Jane Bunnet and Maqueque. 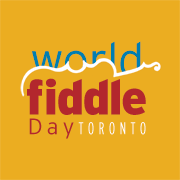 Finally, we have one of our Ontario masters of Old Time Canadian Fiddling, National Champion in both Canada and the U.S., Shane Cooke, accompanied by the wonderful Kyle Waymouth from Stratford on guitar. Tickets for this incredible night will be available soon at: hughsroomlive.com (don’t worry, we’ll let you know). Then, on the day itself, Saturday, May 19, our usual Workshops and Jam will all happen at Hugh’s Room. Join us for Workshops in the morning with Shane and Elizabeth and then our afternoon Jam where we will re-visit some of our old favourite tunes. (Registration available soon). WE WANT YOU, fiddles in hand, for Workshops and Jam. As always, free for those who would like to come and listen. TUNES WILL BE POSTED SOON. But we couldn’t wait to help you get excited for the Concert and the big day. We very much look forward to having you join us at Hugh’s Room.